Premium cuts of yellowfin tuna packed in water. This pouch is full of flavor and packed with nutrients! 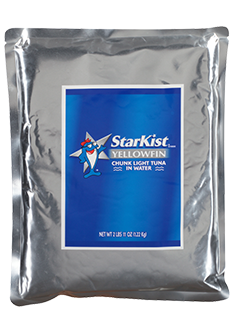 ++StarKist® Yellowfin Tuna in Water contains 100 mg per serving of EPA and DHA omega-3s combined.